Master filmmaker Yoji Yamada returns with the third entry in his new instant classic comedy series. 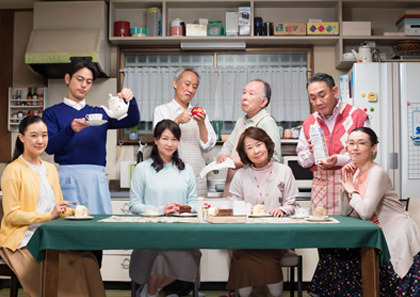 A housewife’s rebellion results in the biggest crisis yet for the uproarious Hirata family! Fumie lives in a three-generational household with her two growing sons, her husband Konosuke, and his parents. One afternoon, she nods off to sleep in between performing her usual chores, during which time a thief breaks into the house and steals a sum of money she kept hidden in the refrigerator! Konosuke berates Fumie, saying: “You saved up a nest egg from my earnings? !” His insensitive negation of her daily struggle to complete all the household tasks dumped in her lap sets off an explosion of her pent-up anger and frustration. She walks out on the family, leaving them to do everything for themselves! This calls for an emergency family conference! Is the Hirata family on the verge of permanent collapse this time? !